Tim Holtz Cling Rubber Stamps SIMPLE SAYINGS cms155 at Simon Says STAMP! cms155 / 3.4 This item is on reserve until If you would like to reserve this item now, you may purchase it now with the rest of your order. We will hold your order now and ship your entire order as soon as this item is back into stock. If you would like your order to ship now, please place this item on a separate order. Success, Tim Holtz Cling Rubber Stamps SIMPLE SAYINGS cms155 has been shared! 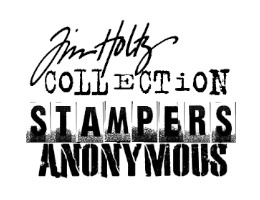 Simon Says Stamp strives to be your one stop shop for everything Tim Holtz! You can be one of the first in the world to use this amazing set of stamps! "now if you’re wanting to use these blueprint designs on many of your projects like i do, it was important to have some saying to go along with it. with it’s stylish simple font, “simple sayings” includes 27 various sentiments from everyday, to birthday, and even seasonal. you can stamp it on photos, cards, tags, alone, or stamp it with the included label frame for a perfect accent. even better, these sayings are also sized to fit the larger banners on my tattered banner die from sizzix. honestly, i think this set may end up being my most used stamp set since i can actually use it with just about every project i make…"